Former three-time leading rider, Carol Cedeno set the record for most wins by a jockey on a single Delaware Park card by notching seven victories today. 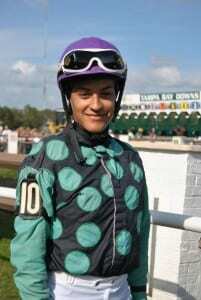 Cedeno started her record setting day by winning the first four races on the ten race card. In the first race, she scored aboard Warrior Lake for trainer Scott Lake, in the second race she booted home Golden Ray for trainer Jorge Navarro, in the third race she won with Posterity for trainer Wayne Potts and in the fourth race she won with Make My Saturday. The 27-year-old native of Puetro Rico continued her winning ways in the sixth race by scoring aboard Here’s to Mike for trainer Jorge Navarro. She followed with a victory in the seventh race aboard Southern Christmas for trainer Scott Lake. Her record setting seventh victory came in the tenth race, the Arabian race, aboard Tiffanys Dream for trainer Jerenesto Torrez. Her only losses were in the fifth and eighth races. She did not have a mount in the ninth race. Cedeno is the current leading jockey at Delaware Park twenty-five days into the meet with a record of 32 wins from 135 mounts. 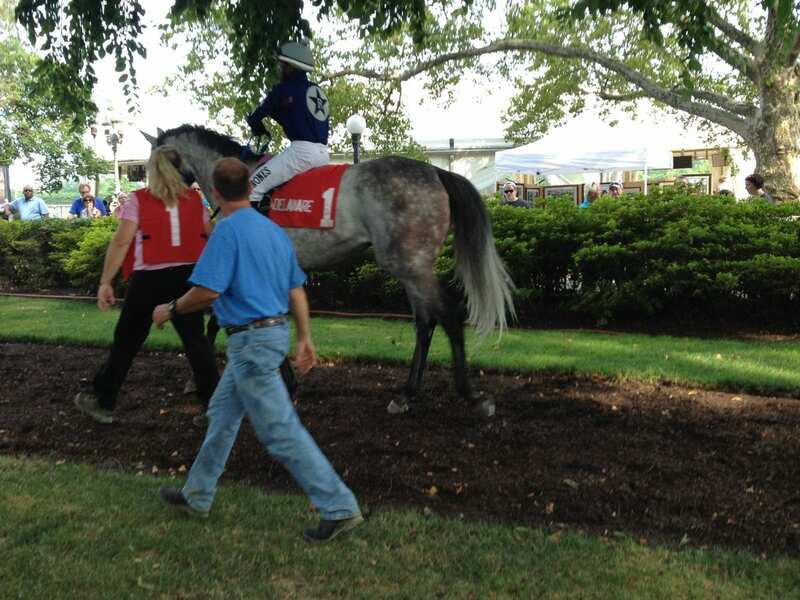 She was the leading rider at Delaware Park from 2014 through 2016. Last year, she finished second in the standing three wins behind Scott Spieth. Six riders have won six races on a single Delaware Park card. They are: Joseph Rocco, Jr., in 2011; Michael McCarthy, who accomplished the feat twice – once in 1997 and again in 1998; Jimmy Edwards, in 1984; Greg McCarron, in 1974; George Cusimano, in 1968; and Eldon Nelson in 1958.